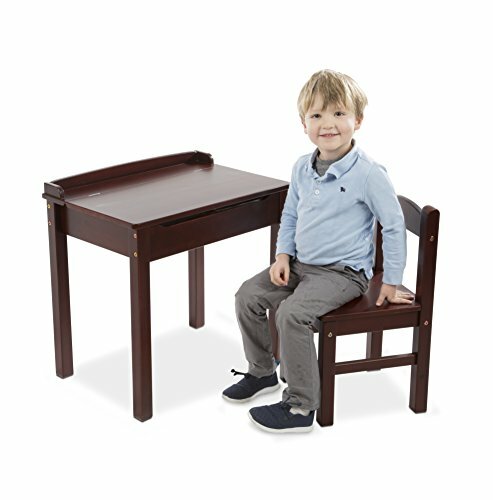 Our fun and functional furniture is sized just for kids! the sturdy wooden lift-top desk with matching chair comes in Honey, white, or Espresso finish to fit with any home décor, and wipes clean to stay looking crisp and clean. Easy to assemble with just a Phillips head screwdriver, the desk features a safety-hinged lid and reinforced legs to last through years of use. Set is sized for kids 3-8, and the chair holds up to 150 pounds.